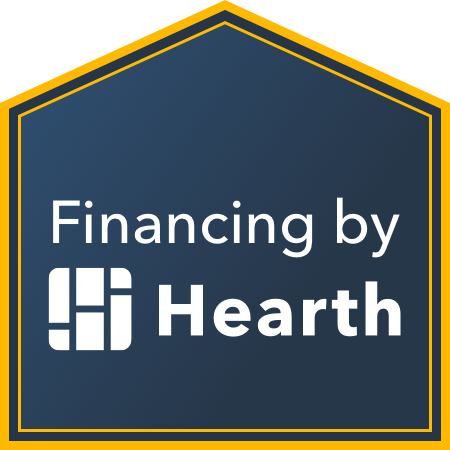 Need Financing?Click Here, To Get Started! Replacing the most important component responsible for waterproofing a commercial or institutional building can be a tough task. The way managers go about it and the subsequent decisions made as a result will impact the integrity of the building and their level of stress — or peace of mind — for years to come. In most instances, natural instinct kicks in, and managers start the process back to front: They choose a roofing system or contractor first and then work the solution in a less desirable method. This methodology involves manipulating factors that often come back to create problems down the road. A more comprehensive and thorough process can turn a potential headache into a reliable, long-term success. I’ve been involved in roof replacement projects from every different angle, so here is my recommendation: Begin by meeting with all interested parties, including decision makers, engineering associates and in-house personnel involved with any rooftop or equipment maintenance, such as plumbers and HVAC technicians. • Are we looking for a long-term solution, and will the building remain with present ownership for at least 10 years? • What is our approved and available budget? Be sure to include a 10 percent contingency factor. • What are the five most important features we expect from the new roof? Coming up with decisive answers to these questions should have nothing to do with any type of roof, roofing contractor or roof system manufacturer. Those decisions come later. Once this initial meeting is over with and the team has firm answers and a direction, it is time to get down to make important decisions. Perhaps most importantly, the team must understand who will be responsible for the performance of an unbiased evaluation of the existing roof and all of the interconnected building components. Be sure to exclude contractors or anyone else who might have a vested interest in the project. The condition of the roof and all other components are key factors in determining if removal or partial removal of existing materials is required and if hidden conditions exist. Managers also need to ensure the substrate is sound enough to support additional loads and has an acceptable fastener-retention value. • Investigate current building code requirements, and ensure upgrades are included as a part of the project. • Research and determine the best products for the project. • Research and select at least three approved applicators for the products. • Produce a clear and concise set of scope and bid documents. • Schedule and conduct a pre-bid meeting, and distribute bid documents. • Review all completed bid packages, and request any required additional information. • Meet with and approve a contract with the selected roofing contractor. Confirm details and commencement procedures, and facilitate paperwork for the building permit process. Make sure to request any waivers of lien and releases for any and all payments made from both contractor and material suppliers. • Develop and implement a protocol for project management, including progress inspections and quality control. Be sure to request proof of all change order requests, such as deck replacement and any other materials the contractor is required to install that were not part of the original base contract price. • Conduct a walk-through with manufacturer representatives to initiate the issuance of material and labor warranties. • Produce and deliver a punch list to contractor, if required, as well as a post-inspection punch list of completed items. Since 1990, Dorsey’s Unlimited Construction has been providing the Dallas / Fort Worth area with specialized work in roofing and roof repairs. We treat our customers like family and would love to get the chance to serve you. You’ll get a FREE estimate. We are certified Dekra Installers. © Dorsey's Unlimited Construction 2019. All Rights Reserved.